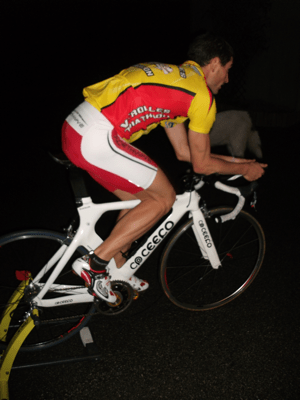 The aim of this article is to propose a series of home-trainer sessions to progress on bike. This tool is particularly interesting to do qualitative work and / or continue to train indoor, when it is not possible to ride outdoor. Body sessions: make 8 sprints of 10 ” in zone i7 (stay seated, start the sprint at a standstill, use a 50 × 15 gear). Between each effort, take 1 ‘of active recovery in zone i1, without forcing on the pedals. NB: this session allows to work on strength and maximum power, which is very useful for endurance athletes as explained in another article. Body of session: making a pyramid (3 ‘zone i3 / 1’ zone i2 / 4 ‘zone i3 / 1’ zone i2 / 5 ‘zone i3 / 1’ zone i2 / 4 ‘zone i3 / 1’ zone i2 / 3 ‘ zone i3). Keep a rate greater than 90 rpm. Body sessions: make 3 efforts of 6 ‘in zone i3-i4 while maintaining a rate between 100 and 110 rpm. Between each effort, take 2 ‘of active recovery in zone i2. Body sessions: make 2 sets of 8 accelerations of 30 ” in zone i5 with a rate between 100 and 110 rpm. 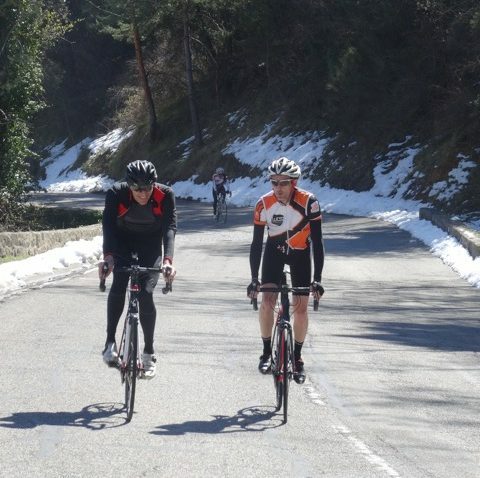 Between each effort, take 30 ” of active recovery without forcing on the pedals. Get 4 ‘in zone i2 between the sets. Get 4’30 ” in zone i2 between sets. Body sessions: make 9 efforts from 1 ‘in zone i5 to 100% of PMA while maintaining a rate between 100 and 110 rpm. Between each effort, take an active recovery time of 4 ‘while remaining in zone i3 (70% of PMA). Body sessions: realize 4 series including 5 ‘in force (40-50 rpm) then 5’ in velocity (100-120 rpm). Do not go beyond zone i3! Body sessions: make 5 efforts of 1 ‘, 2’, 3 ‘, 2’ then 1 ‘in zone i5 to 100% of PMA maintaining a rate between 100 and 110 rpm. Between each effort, observe an active recovery time identical to the working time remaining in zone i2. Body sessions: make 2 sets of 5 x (30 ” pedaling only with left leg, 30 ” pedaling only with right leg, 1 ‘pedaling normal at 90 rpm). Do this exercise with a “consistent” gear (50×19). Take 5 ‘active recovery in zone i2 between the 2 sets. Bodywork: Make 2 x (10 “/ 15” / 20 “/ 25” / 30 “35” / 40 “/ 45” to PMA by starting your effort every minute). Take 5 ‘active recovery in zone i2 between the 2 sets. Those sessions can be performed in the order proposed, possibly by inserting active recovery sessions (session n ° 10) between each session. Be sure to make your sessions in an airy atmosphere (balcony, open garage, facing a fan …) and cool, to limit the phenomena of hyperthermia. Do not force too much on the first rehearsals. Be PROGRESSIVE! The dosage of the intensity of a workout should be done from the heart rate, power and / or sensations. The determination of the training intensities is ideally made from the results of a stress test carried out in a medical-sports laboratory. These results make it possible to determine the training zones corresponding to the various types of effort. I7 (short sprints) Insignificant 180-300 Muscle tingling just after the effort. Extreme suffering during the exercise. I5 MAP (Maximal Aerobic Power) 95-100 80-100 Rapid increase in muscle pain. I4 (Anaerobic Threshold) 90-95 75-80 Progressive increase of muscle pain. I3 (Critical Endurance) 85-90 65-75 Appearance of a slight muscle pain during the effort. High ventilation but stable and controllable. I2 (Base Endurance) 75-85 50-65 No muscle pain. I1 (Active Recovery) < 75 40-50 No muscle pain. – Pour les cyclistes francophones, retrouvez cet article en français ! Triathlon is an endurance sport. The development of this ability is an essential goal of triathlon training. It’s about becoming able to withstand fatigue in a long-lasting ordeal. The triathlete needs to develop his endurance at the right level and devote himself to it wisely. So what volume and how to go for a Half Ironman? A first approach to training can lead to trying to push back the threshold of fatigue by increasing the workload to reach and push its limits. On the social networks, many triathletes like to exhibit their ability to train without really having made the link with their sporting goal, the duration of the test but also with their physical and psychological abilities. In practice “Ironman”, a system of overbidding is installed. Professional triathletes feed it: the number of training hours per week goes from 25 hours, to 30 hours, to 35 hours, to 40 hours, … The link between the ability to train and the endurance performance is real. It is all the more relevant that the test is of long duration. However, it is not a question of training all the year with only variable the volume of training that is measured in hours, km, Kcal, … A good planning of its training will make it possible to identify the periods ( or training cycles) for which a goal of training volume is essential and to prepare for it. The main difficulty at this moment of preparation will be to set oneself to find its limits. For the professional triathlete, he will be able to reach his maximum volume capacity since he is dedicated to this activity full time and that to get there, he will integrate in his training a work of recovery. For the amateur triathlete, the limits will be much more quickly reached: a professional activity, less hours to devote to his training, a work of recovery often neglected … The equation is very different. It must be accepted and especially not to feel guilty If you do not have enough knowledge of you to venture close to your limits, you can use the help of a coach to guide you and avoid falling into the overtraining. When playing with the training volume, a fundamental rule must be respected: progressivity. Developing your endurance by taking into account only the volume is a reductive way to approach: activity, training and performance. Playing only on the training volume can be counterproductive and even dangerous. While this model appears to be generally applicable, performance factors are specific to each mode of triathlon locomotion. The physiological and biomechanical mechanisms differ according to whether one moves on land or in water, running or pedaling. These factors refer to the amount of energy an individual has on exertion and his or her ability to transform that energy according to the type of displacement. With regard to triathlon, it is necessary to define the factors of the performance taken in isolation and for each mode of locomotion. This approach shows that a triathlon coach will be able to easily identify progress tracks by targeting your training objectives according to your perfectible points [discover the WTS coaches]. Endurance is not worked with the “volume” slider. Endurance performance requires to become able to move in all three modes of locomotion over a wide range of speeds. Triathlon performance involves the development of a harmonious and comprehensive set of capabilities that contribute to endurance. A great diversity of sessions gives more pleasure to the practice and also contributes to increase its training capacity. Endurance is not working on the same pace. The level of endurance depends on the duration of its goal and the total energy expenditure to achieve it. The Half Ironman triathlon which consists of swimming 1900m, pedaling for 90km and running a half-marathon is done in 3:40 for the best and in 7 hours for latecomers. For the first, the Half Ironman is a simple endurance test not exhausting; and for the vast majority of others it’s an exhausting ultra-endurance event like an Ironman. It is a bit as if some people managed to achieve the high-speed course with only a full tank of fuel; for others, it is necessary to choose less greedy speeds and regularly use fuel surcharges to cross the finish line. The situation of exhaustion would correspond to the passage on the reserve. Now that this analogy is made, we can better understand that the same test can be non-exhausting for some and exhausting for others according to their speed (or their energy consumption) and their energy reserves. In humans, there is a relationship between glycogen depletion and decreased ability to produce high-level exercise. For exercises lasting more than two hours at 75% of VO2max, depletion of glycogen stores may become a limiting factor in performance. Afterwards, it is possible to continue an exercise while the glycogen is exhausted but in this situation the oxygen consumption is reduced (to maintain a level of work between 50 and 55% of VO2 max for 7 to 8 hours) and therefore the running speed (V). At this level of work, lipolysis and hepatic neoglucogenesis take over. The availability of glycogen is not the limiting factor in the pursuit of a very long duration effort and at low speed. Depending on its level of performance, we prepare a Half Ironman with a large volume of training at low intensity if we are not sure to cross the finish line without being exhausted: it is for the vast majority of triathletes. In this case, the preparation will look a little like that of an Ironman. For the best (professional and best young age groups), the volume of training will be coupled with a high effort intensity. The ambition to go fast on Half Ironman will be associated with the risk-taking of “stuck” on the final. The Ironman and the Half Ironman are events where the absolute energy cost is such that the capacity of endurance depends on its level of training but also of its food strategy. A recent review of the literature shows the importance of coupling a physical exercise (8) with energy endurance training to meet energy needs. The development of its endurance can be sought by a multi-disciplinary approach that combines physical exercises and nutritional exercises. This type of preparation should be undertaken with the advice of an expert. For the vast majority of triathletes, the preparation of a Half Ironman requires a large amount of training at low intensity since this test is exhausting. To optimize its preparation, a multi-disciplinary approach (combining physical exercises and nutritional exercises) can be considered. 1.di Prampero PE. The energy cost of human locomotion on land and water. Int J Sports Med. Apr 1986; 7 (2): 55-72. 2.di Prampero PE. Energetics of muscular exercise. Rev Physiol Biochem Pharmacol. 1981; 89: 143-222. 3.Coyle EF. Of the physiological factors determining endurance performance ability. Exerc Sport Sci Rev. 1995; 23: 25-63. 4.Barnes KR, Kilding AE. Running economy: measurement, norms, and determining factors.  Sports Med – Open. Dec 2015; 1 (1): 8. 5. McLaughlin JE, Howley ET, Bassett DR, Thompson DL, Fitzhugh EC. Test of the classic model for predicting endurance running performance. Med Sci Sports Exerc. May 2010; 42 (5): 991-7. 6.Bassett DR, Howley ET. Limiting factors for maximum oxygen uptake and determinants of endurance performance. Med Sci Sports Exerc. Jan 2000; 32 (1): 70-84. 7.Ache-Dias J, Dellagrana RA, Teixeira AS, Dal Pupo J, Moro ARP. Neuromuscular and physiological parameters: a randomized controlled study. Appl Physiol Nutr Metab Physiol Appl Nutr Metab. Jan 2016; 41 (1): 20-5. 8.Maunder E, AE Kilding, Plews DJ. Substrate Metabolism During Ironman Triathlon: Different Horses on the Same Races. Sports Med. Oct 2018; 48 (10): 2219-26. 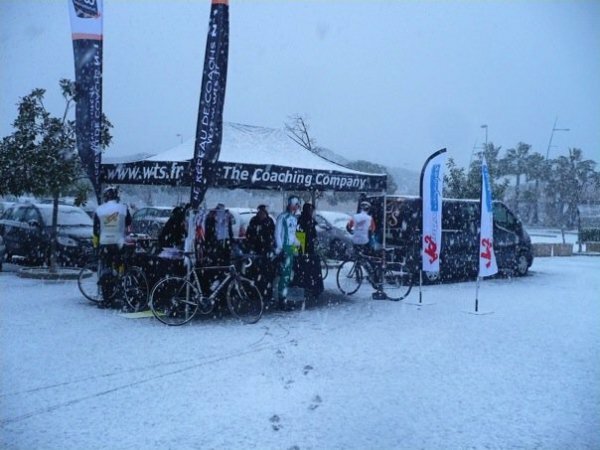 – Contact WTS to prepare your next goals! 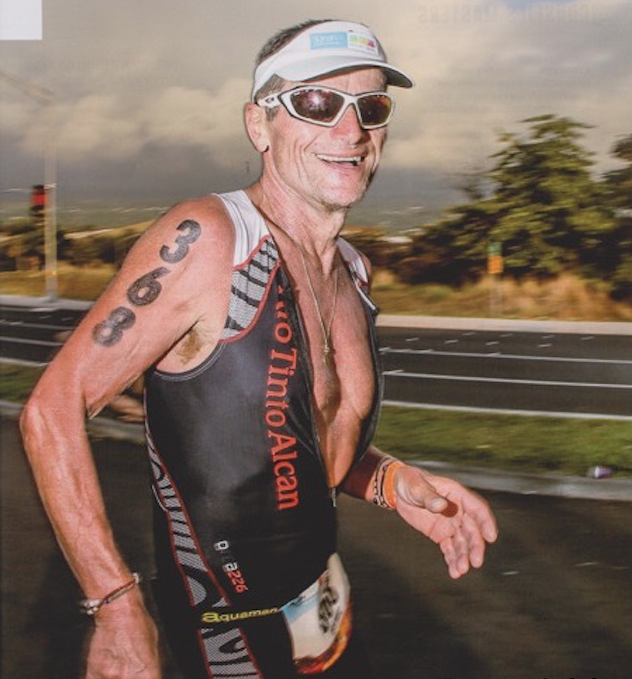 Over the past many years, I have been training athletes seeking to race their first Ironman distance triathlon, as well as athletes aiming at racing faster at that distance. Many of them had training obstacles and challenging schedules to overcome: business executives traveling the world on a regular basis, entrepreneurs with irregular, demanding schedules, surgeons and ER doctors with unique schedule specificities; not to mention having children to take to soccer practices, swim meets, university visits, and other family activities taking place on weekends and throughout the week. Simply put, devoting 15 to 18 hours a week, or more, on a regular and consistent basis to train across 3 disciplines during the months leading to an Ironman distance race proved to be somewhat impossible for these time-crunched ironman athletes. Yet, with my support and training regime, they succeeded in achieving their goals. Athletes may tend to underestimate their career and family constraints. If this is the case, they will quickly find themselves with too many competing activities. As a result, training will rapidly become a burden, having fun will become an unknown concept, and training-related stress will increase. In many, if not most, instances the athlete will drop out of his/her training regime. Our role as coaches is to get very familiar with our time-crunched athletes’ professional schedules and constrains, family constrains, kids’ activities, etc. The more we know about an individual’s “lifestyle”, the more effective our training program will be. Fairly recently, I coached an athlete who was new to the sport of triathlon, and he asked that I coach him so that he could finish an Ironman race during his 1st season. Though I would typically decline to do such a thing, given his focus and motivation, in this particular situation I accepted the challenge. Time-crunched athletes may not be able to dedicate what would be seem to be an ideal number of weekly training hours during the last 3 to 4 months leading to an Ironman race. Time limitations may draw a line between finishing a race in good conditions vs. racing a race. There is nothing wrong with this trade-off as a realistic goal. We, as coaches, should evaluate each situation in detail, and develop clear and realistic expectations and goals, and discuss them with our athletes, making sure that the athlete and coach are on the same page. To be a successful time manager and coach, I know my athletes’ schedules as executives, entrepreneurs, dads/moms almost as well as mine; I know when they are travelling, to what cities, whether they will have enough time to train at home before leaving to the airport, or after getting back home; I know if they can use a pool when travelling; I know how much they can train per day when travelling; I know when they have annual budget meetings that will shut down their entire week; I know when as teachers they have “back-to-school” meetings in the evenings, and I know when as doctors they will be on calls or working night shifts, etc. Why would I ask an athlete for this level of detail and, more, importantly, why do I need to know? Because I need to identify the optimum weekly training plan and detailed workouts that will be fully aligned with their individual, unique, busy schedules. It’s as simple as that. In addition to the overall annual training plan that includes the various training phases and races, it is critical to develop a more short/mid-term training plan, typically 3 months, that will include the major constrains that you, as an athlete, are already aware of. This 3-month plan should include business trips, family weekends, vacations, family reunions, etc. Simply put – all events that will impact an athlete’s training plans should be included. By way of example, with prior knowledge of personal and professional activities, we may want to try to take advantage of a heavy traveling week and schedule it as a “recovery” week. If I, as the athlete’s coach, know this several weeks or couple of months in advance, I can then easily structure a more effective mid-term training plan. Schedules of time-crunched people change all the time, sometimes at the last minute. Fixing scheduled workouts 1 week at a time only, without the ability to adapt, may not always be sufficient. Meetings get rescheduled, 1-hour meetings turn into 3-hour meetings, kids get sick, etc. As a coach, I should be prepared to re-adjust workouts within less than 12 hours, be flexible and ready to change, adjust, re-sequence workouts on the spot, while keeping the 3-month plan and annual objectives in mind. Time is the essence. As a “hands on” coach, I can help with adjusting workout plans so as to maximize immediate benefits and long-term results. As each athlete has individual strengths and weaknesses, it is important to get to know your athletes on a personal level. Type-A athletes will tend to minimize or hide their stress and fatigue levels. As a result, they require close monitoring. In part, their workout data needs to be reviewed in detail. As their coach, it is also important to listen to their feedback and ask them to share detailed post workout comments. Watch for signs of demotivation and adjust accordingly. Athletes, especially time-crunched ironman athletes, need to understand that there is a critical distinction between “exercising/working out” and “training”. Because their time will be limited, each workout must have a very well defined objective and purpose. A 90-minute bike workout with Functional Threshold Power intervals is not the same as just enjoying a 2-hour bike ride on a sunny Saturday afternoon. They must understand this. As training time will be somewhat / sometimes constrained, specificity and consistency are two important variables that will become very critical in order to maximize the available training time and achieve the most value out of each workout. This topic would require a dedicated paper by itself, but let’s briefly cover it. Time-crunched ironman athletes also bring some unique benefits, specifically increased recovery time! These athletes have more recovery time than someone able to train 15 to 20 hours a week. As these athletes may not be able to train 6 days/week and may not be able to have double-workout days (at least, not on a regular basis), the result is, by necessity, more recovery time. Many studies have shown that training at higher intensities, such as Vo2Max, are actually increasing performance results at all metabolic levels below it. This is not to say that some long workouts, performed at targeted race-pace/intensity will not be required and beneficial. Rather, a higher volume component of ironman training can be reduced, without negatively impacted the level of readiness of the time-crunched ironman athlete. -> Get to know your athletes’ lifestyle and schedule. Be an active coach and “personal assistant”. -> Be very reactive to the athlete’s ever-changing schedule; more than a day to react, and the opportunity to effectively re-organize and re-balance a given training week is gone. -> Balance volume vs. intensity vs. recovery in a time-crunched environment and turn the athlete’s schedule constrains into benefits. During the winter, viruses find an environment particularly conducive to their spread! Influenza, gastroenteritis, or rhino-pharyngitis viruses are particularly active. A good part of the population suffers these infections, and even if the physical activity increases the immune efficiency, the sportsmen have also entitled to their lot of winter pathology. When the infection is there, the consequences are twofold for athletes since the pathology forces rest and puts the body “flat”. In the end, much of the effort in upstream training can be lost, especially if the stopping is very prolonged. There is no miracle method for suppressing winter virus-induced diseases, however it is possible to limit the risks with a few simple measures. Basic measures have an important role in terms of prevention: regular washing of hands, avoiding public places confined during epidemic periods, etc. Nutrition is a good way of prevention. It is especially important to avoid “clogging” the body with toxic and / or useless food: alcohol, sweets … etc. As such, it should be noted that end-of-year festive meals have a negative impact on the digestive tract and predispose to the appearance of various pathologies. To strengthen immunity, nothing replaces a good cure of probiotics to strengthen the intestinal flora. Do not hesitate to take a cure of ginseng or eleutherococcus during the winter. These “adaptogens” will help the body fight viral infections, especially if the training is intensive. Always favor products of good quality, richer in active substance (ginsenosides). 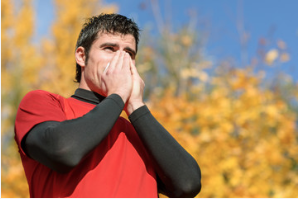 In addition, cooling often acts as the triggering factor, therefore it is particularly important to adopt a suitable attire during and especially after training. We will take special care to keep warm feet, and the head. In terms of training, do not overload during times of epidemic or weaken the immune system and increase the risk of getting sick. Fever is the symptom that translates the infection. When it is too high, you should not hesitate to use paracetamol or ibuprofen to reduce the fever. Anyway, do not hesitate to use the advice of your doctor, if the symptoms are important and especially persistent (fever, headache, cough, sore throat … etc), because the viral pathology can quickly turn into bacterial pathology. Only in this case should the use of antibiotics be considered. If this is the case, increase your consumption of yeast beer or yogurt rich in lactic ferments. Indeed, these foods are rich in pre-biotic substances and will help restore the intestinal flora that has been destroyed by the action of antibiotics. 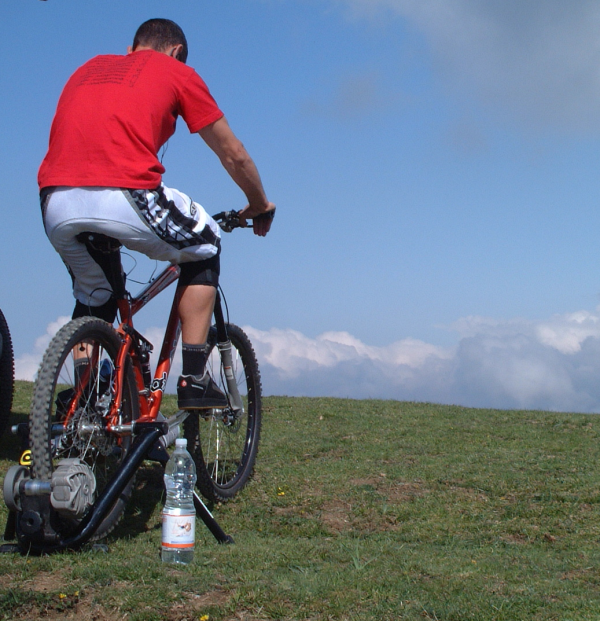 In the case of recurrent pathologies, it may be interesting to carry out a dental, osteopathic or micronutritional check-up to make sure that the source of the problems is not related to an additional problem: dental infection, food allergy, or vertebral displacement (fruit of an old fall by bike for example). The resumption of training is essentially conditioned by the evolution of symptoms. One thing is certain, the recovery must be extremely progressive or it will relapse. In addition, it is vital not to engage in high-intensity training too early (especially if fever is present) or else cause irreversible cardiac damage (myocarditis). In the case where the symptoms are not associated with any fever (ENT, digestive …), it is possible to continue to talk, taking care not to aggravate things, so we will limit ourselves to short sessions , little intensive. It is traditional to count a number of training days equal to twice the number of days off, before returning to its state of pre-illness form: it will take two weeks of training to return to the original form following a stop of a week. Finally, keep in mind that losing a little time in the convalescence phase can save a lot of time in the end. If the fever is high (> 38 ° C), do not force it under pain of damaging your heart (myocarditis). Rest and wait for it to resume cycling. When winter is installed, it becomes difficult to practice outdoor sports. It is therefore advisable to orient one’s practice towards activities more adapted to winter conditions. The Home-trainer is a particularly interesting tool to continue pedaling indoors. The main interest of the home-trainer is to make qualitative and non-quantitative sessions. Content: Start with 20 minutes of progressive warm-up, then do 2 sets of 8 accelerations of 30 seconds to your maximum aerobic power with a rate between 100 and 110 rpm. Between each effort, take 30 seconds of active recovery without forcing on the pedals. Collect 4 minutes between the 2 sets. End the session with 10 minutes of low intensity pedaling. Running is a particularly interesting activity. It is an excellent exercise, both in heart and muscle. Running should ideally be practiced on soft terrain to limit traumatic stress. Contents: Start with 20 minutes of progressive warm-up, then do 8 to 10 times “15 seconds of stepped acceleration”. Recover by returning by walking to the starting point. End the session with 10 minutes of low intensity jogging. In winter, it is particularly pleasant to force yourself at home or in a “gym” room, when the elements are unleashed outside. Bodybuilding has many advantages, especially for cyclists lacking muscle strength. Contents: Start with 15 minutes of progressive warm-up on the home trainer, then do 3 sets of 5 times (10 half-squat / 10 incline / 5 left-hand only) / 5 right-leg flexion alone / 5 minutes of home-training in endurance). Finish the session by 10 ‘pedaling flexibly. Content: Start with 400 to 800m of progressive warm-up alternating crawl and breaststroke according to your level, then do 10 times (25 m crawl fast, followed by 25 breaststroke in active recovery). Recover by swimming soft (back with two arms, breaststroke ..), for 5 to 10 minutes. Nordic skiing has many things in common with cycling, particularly in terms of cardiac activity. Indeed, the fact of being at altitude makes it possible to develop muscular oxygenation mechanisms (red blood cells, enzymatic system …). First and foremost, it is essential to ride with appropriate clothing. The application of the three-layer concept is perfectly suited: 1 breathable technical garment + 1 insulating and breathable intermediate jacket + 1 breathable waterproof wind-stopper or gore-tex jacket. In parallel, the protection of the extremities (feet, hands, head) must be optimal. In a second time, when it is very cold, it is very interesting to preheat on home-trainer before going to ride outdoors. To do this, it is necessary to equip oneself as to go to ride outside (thermal jacket, over-shoes, winter gloves, helmet …), then to ride on a home-trainer and to roll about ten minutes equipped with the type. When the temperature rises and the sweat starts to be felt, it means that the machine is ready to go out! NB: The pedaling on home-trainer can be replaced by series of inflections and pumps. Once in action, it is necessary to roll in a qualitative way by doing a work at intervals. In terms of nutrition, the use of a hot energy drink is unavoidable, the average dosage is 500ml of drink per hour of effort. When returning from the effort, it is advisable to shower and change quickly. Consumption of a recovery snack is essential to restore energy reserves and promote physiological adaptations. The study of human or animal populations living in frosty environmental conditions shows that the reserves of subcutaneous fat are a good protection against cold. In fact, the subcutaneous adipose tissue makes it possible to limit the heat losses and constitutes an appreciable potential energy store for the situations of scarcity. 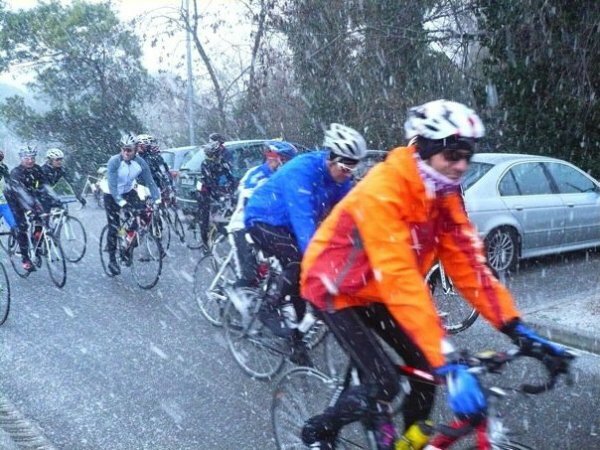 Except for extreme polar or Himalayan expeditions, cyclists who are passionate about winter sports will rarely have to deal with situations of scarcity. Nevertheless, it is not uninteresting to take a few kilograms during the offseason, taking care however not to exceed the threshold of 5% of its weight of form.